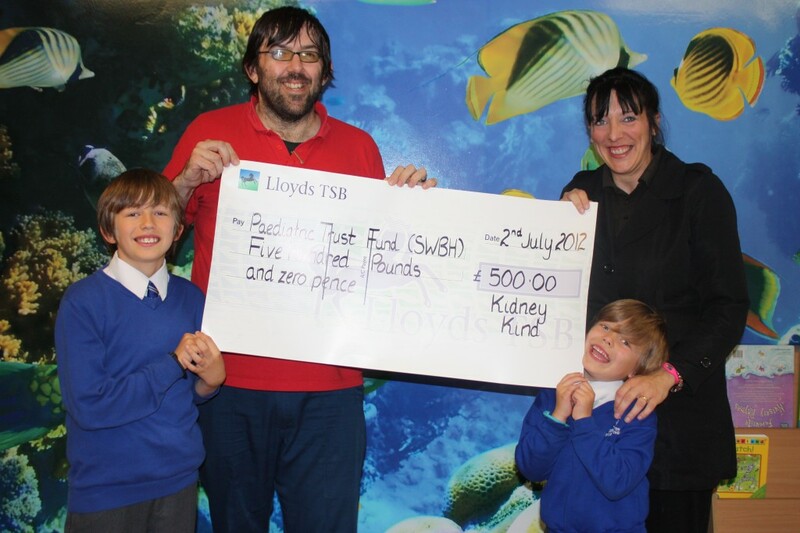 Nine year old Alex Heagren of Great Barr this week paid a return visit to Sandwell Hospital to present a cheque for £500. The large donation was by way of thanks for treatment he received on the children’s wards there some years ago. Unfortunately one of Alex’s kidneys sustained serious damage and two years ago was removed. After a speedy recovery, football mad Alex told his parents, Jo and Richard, that he wanted to do something to say thank you to Sandwell Hospital and help other children who were ill.
A number of fundraising activities were organised and lead by Alex and his family, including little brother Ben, and the trust fund ‘Kidney Kind’ was established. Alex’s fundraising has now reached £600 via football tournaments and cake sales and this week he delivered the first £500 to a very grateful representative of the Children’s Trust Fund at Sandwell Hospital. Alex and his family are determined to carry on the fundraising, especially since Alex was encouraged on by his proud Grandmother, Pam Worth, who died earlier this year.